Changing a lamp bulb is no sweat, but it can be a total hassle when a light bulb burns out in a hard-to-reach lighting fixture in your home. Replacing the bulb can involve a hair-raising climb to the top of a ladder if the fixture is on a high ceiling or above your stairs. But now, thanks to long-lasting LED lights, you can forget what it’s like to change a bulb. LED technology is now being integrated right into light fixtures, so you’ll never have to install or change a bulb in those fixtures again – because there isn’t even a bulb to change! And prices for these fixtures have dropped dramatically. 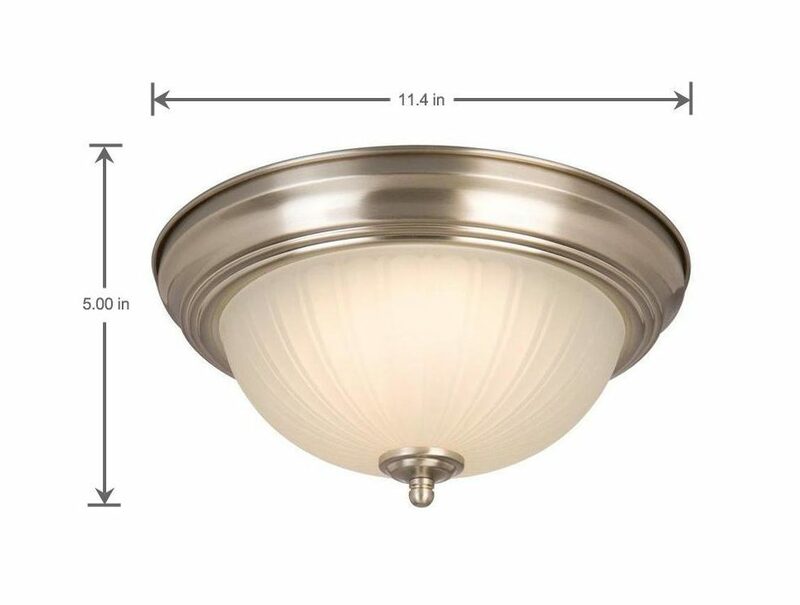 For example, right now at The Home Depot, you can get a two-pack of Brushed Nickel LED Flush Mounts from Commercial Electric for $34.97. These fixtures last 45 years or 50,000 hours of use, and can save you up to $468 over the life of the fixture. The frosted melon glass gives it a timeless, traditional look that will complement any home style. These fixtures are also dimmable and have an equivalent light output to one 100-watt bulb. So rather than going to all the trouble to replace a burned-out bulb in a hard-to-reach fixture, only to have it burn out again in the future, consider replacing your entire fixture with an integrated LED light fixture. By upgrading to an LED fixture, you’ll save money and energy and enjoy the convenience of never having to change a bulb again. The post Never Change a Bulb Again with Integrated LED Light Fixtures appeared first on The Money Pit.